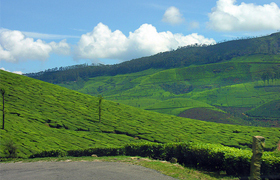 The Duke of Wellington is reputed to have been the first European visitor to Munnar, in 1790, but this is unlikely. In the early 19th century, the headman of the villages of Anchanad, just to the North of the high ranges was named Kanan Thevar. It is said that travelers from Madurai to the West coast passed through these villages and named these hills after him. An entry in the diary of Madras army Lieutenant made in 1817 describes a bullock-road heading across the Kanan Devan hills into Coimbatore. 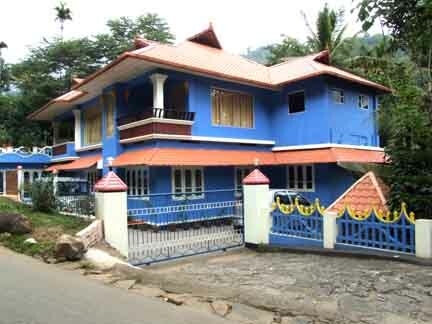 In 1877-79, the Poonjar Chief, a subordinate prince to the Maharaja ofTravancore, leased a large tract of land comprising 588 sq. km. to a lawyer in the employee of the Travancore Government named J. D. Munro. This tract, henceforth called the Kanan Devan Concession Land, was completely undeveloped, largely unexplored, and covered with thick jungle full of wild elephants and tigers. In Conjunction with Munro and H. G. Turner of the Madras Civil Service was founded the North Travancore Land Planting and Agricultural Society, whose members developed their own estates in various parts of the High Ranges. This first cultivation was undertaken by A. W. Turner near Devikulam lake in 1877. 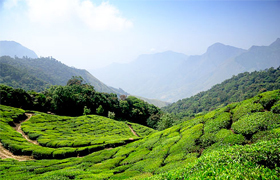 The pioneers tried many crops such as coffee, cinchona, sisal and cardamom before discovering tea, the product best suited to the area.The first tea plant was planted by A. H. Sharp at Parvathi, now in Sevenmullay estate, but then a 20 hectares (50 acres) clearing in an immense jungle. In 1893-95, the concession area was purchased by Muir and Co. which later became James Finlay & Co. Ltd. The original route to the Anamellen's was cut out of the jungle in 1858 by Congreve and Macpherson, and it led to what are now Veloine & Valparai Estates. The first plantation was 20 hectares (50 acres) of coffee put out in 1897 by "Carver" Mersh. E. J. Martin introduced tea a few years later and cardamom, cinchona and rubber were also added. The latter has now been mostly abandoned. 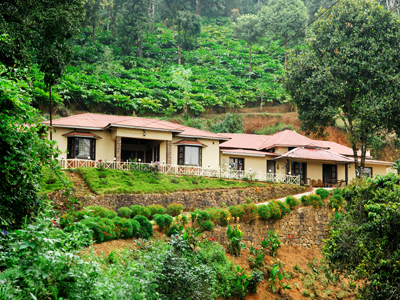 The Kanan Devan Hills Produce Company was formed in 1897, and together with other subsidiaries of the Glasgow, UK - based Finlays Group, namely, the Anglo-American Direct Tea Trading Company and the Amalgamated Tea Estates Company it opened or came to purchase 33 estates in the high range and 9 in the the Anamallais. In 1964 a collaborative venture between Finlays and Tatas was established to develop value-added tea, and in 1976 Tata-Finlays Ltd purchased the black tea producing/marketing operation and other interests. The name of the company was changed to Tata Tea Ltd. in 1983 when Finlays sold their remaining share holdings including the considerable landholdings and manufacturing facilities in Northeastern India. Tata Tea Ltd. justifiably claims to be the largest integrated tea company in the world, with activities spanning the entire spectrum of the industry. Altitude 5000-8000 ft above sea level. Languages spoken Malayalam, Tamil, Hindi and English.